It seems that everyone is trying to be in shape nowadays, or at least improve their fitness routines. No wonder why there are now a lot of smartwatch and fitness tracker options currently out on the market. If you’ve got some spare cash, getting a fitness tracker can prove convenient. But if you’d instead buy that pair of running shoes you know you would use for a long time, then not getting a fitness tracker should be no biggie. See, the truth is you don’t need a smartwatch or a fitness tracker to achieve your fitness and health goals. Chances are, you are already carrying around a very powerful tracker – your Android device. Though this sensor-packed gadget is too big to be worn around your wrist, it can provide you with same features and capabilities as that of a fitness tracker. To unlock your Android device’s fitness tracking potential, all you have to do is download the right apps. From apps that can check your daily calorie intake to apps that can record your average heart rate, we listed down the best fitness trackers for Android that you will need in your quest for the perfect bod. If you want to be in shape, of course, working out and exercise is necessary. Then again, managing your calorie intake is also equally crucial. Without the proper understanding of what you are eating, all your hard work will be wasted. To manage your everyday calorie intake, we suggest you download MyFitnessPal. This Android fitness tracker app allows you to set your weight goals. Once established, it will automatically calculate the amount of food you should be taking on a daily basis to achieve your goal. Even more interesting, this app can break down the calories by their impact on nutrition. Tap Calories Remaining, scroll down, and select Nutrition. After that, you will get an idea of how your calorie intake can be broken down for breakfast, lunch, and dinner. If you have finally decided to get up and start moving, you will need an ultimate fitness tracker like Strava. This app can track how far you’ve reached and the total amount of calories you’ve burned using some on-device sensors, such as your GPS and accelerometer. With its rich features, Strava can accurately track your bike rides, walks, and runs. But do you know what its real selling point is? That is its ability to compete against other users in your location, who are also using the app. 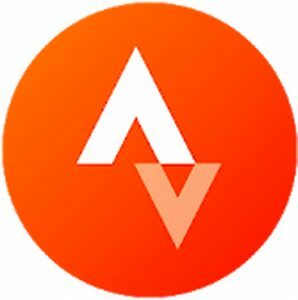 When you use the app to track the distance or time you’ve run, it will show you some of the best records that fellow Strava users have made on the same route. Besides, this fitness tracking app allows you to share your activity feeds on social media, so your family and friends will know that you are working on your fitness goals. One of the many reasons why fitness buffs buy expensive fitness-tracking gadgets is their ability to monitor heart rate. However, did you know that your Android device can track your heart rate as well? 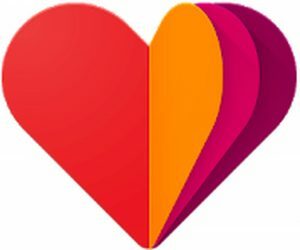 Some of the latest Android devices already have a built-in heart rate monitor. Samsung Galaxy J7 is one. Now, if you don’t have that kind of smartphone, you can install the Instant Heart Rate app instead. 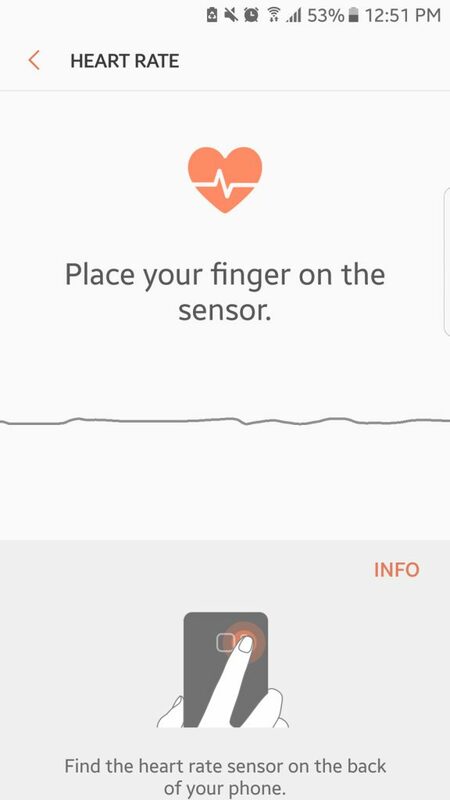 This heart rate monitoring app uses the camera sensor of your Android device to record your heart rate. Using that information, you will know if your resting heart rate is becoming better or if you are about to reach the heart rate threshold you need to achieve your fitness goals. So, you think calculating your body mass index or BMI is not essential? Think again. Knowing your BMI will give you an idea about your body’s muscle and mass composition. 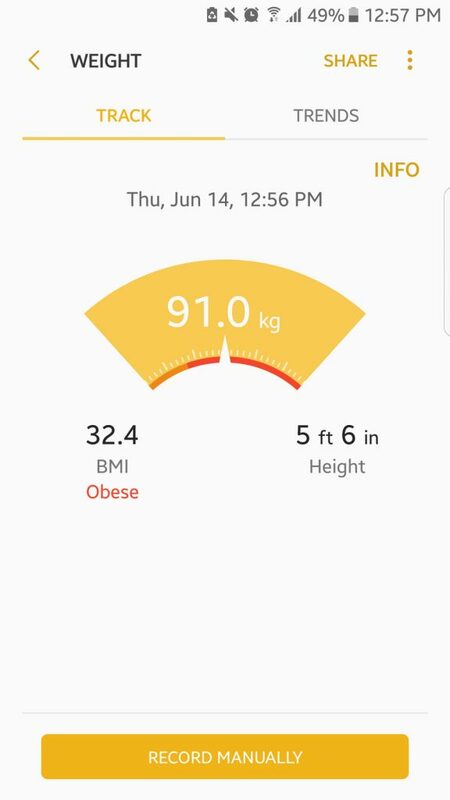 As long as you know your height and weight, you can use the BMI calculator app to see the percentage of your body’s fat composition. Once you are armed with such information, you can quickly adjust your fat intake and modify your workout routine to resolve your poor BMI reading. For beginners, there is a running program made for you: Couch to 5K. 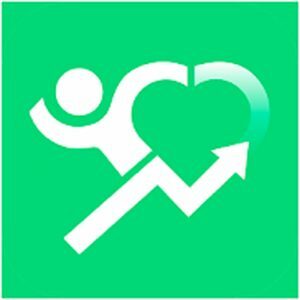 One of the most popular, newbie-friendly running program apps on Google Play Store, Couch to 5K guides you from warm-ups to runs. Depending on your fitness level, the app will adjust your fitness routine into a walk or run intervals, so you don’t end up pushing yourself too hard, which can be counterproductive if you can’t keep up and decide to stop trying. When you use this app, you can choose from four interactive virtual coaches: Billie, Sergeant Block, Constance, or Johnny Dead. They’ll help you stay on track by giving audio cues and tips as you exercise. 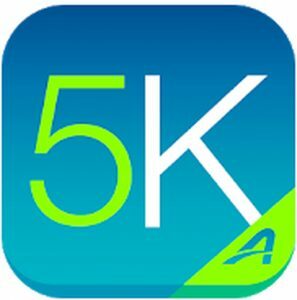 Couch to 5K also syncs with your Android device’s playlist, so you can listen to your favorite songs while walking or running. One of the best and most effective ways to improve your metabolism and to promote weight loss is through weight training. Unfortunately, for most people, particularly beginners, this can be very intimidating and confusing. It is where the JEFIT app can help. 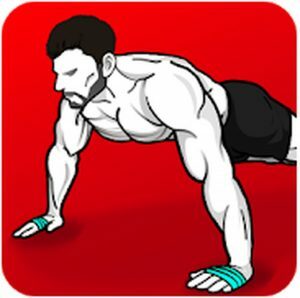 This app features some weightlifting programs that could help you focus at the gym, record your weightlifting progress, and take note of the rest time you take between lifts. Additionally, it keeps everything in a journal so that you will have a detailed report on your progress. To see these custom workout plans, go to the Workout tab and swipe right to left. Alternatively, you can head over to the Exercises tab and select a particular muscle group you want to improve. Here, you will see some custom exercise routines you can try out. 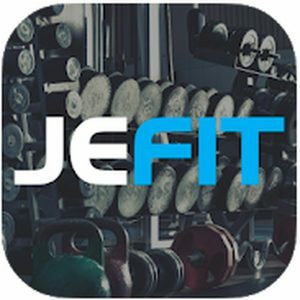 JEFIT has a very active workout community with millions of users you can connect. If you want, you can also add friends to motivate yourself and share your training progress. If you prefer to work out in the comforts of your home, the 7-Minute Workout app has your back. 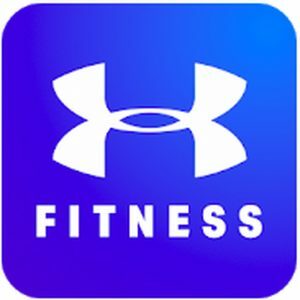 This app allows you to take advantage of the items you see at home to help you with your fitness goals. That way, you need not go to a gym. 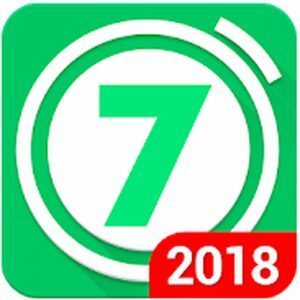 As the name of the app suggests, it introduces you to different 7-minute workout routines, which consist of twelve exercises and 10-second breaks in-between. It’s entertaining and easy to use! You won’t have any excuse, not to workout. 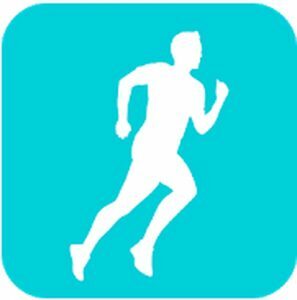 RunKeeper is a fantastic app that lets you track walks, runs, and other physical activities. From casual walks, 10K runs, and marathons, this GPS app has a vast community of users and can be used by everyone. Whether you aim to lose weight or just hit a specific pace target, RunKeeper can custom-tailor a plan for you to help you get there. Just go to the My Plan dashboard to create custom training plans or see ready-made schedules you can select. With RunKeeper, it’s straightforward to stay motivated. You can participate in challenges to push yourself harder and be rewarded. You can also invite your friends to join you so that you can cheer and support each other along the way. 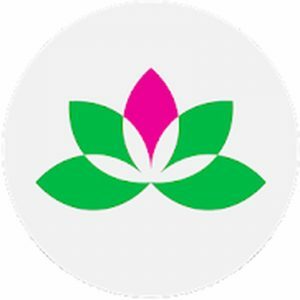 With over 70 ready-made meditation and yoga classes designed for beginners and advanced users, Yoga Studio indeed has something for everyone. You can even customize your classes and select which aspect you want to focus on flexibility, balance, strength, or relaxation. Don’t worry because the app provides easy-to-follow instructions on how to do a particular pose and transition to another one seamlessly. Aside from providing step-by-step instructions for more than 280 poses, Yoga Studio also shows the benefits, variations, and cautions involved in performing certain poses. Technically, this app is a handy yoga library in your pocket. To make sure you don’t miss a yoga session, you can sync your sessions with your Android’s calendar. 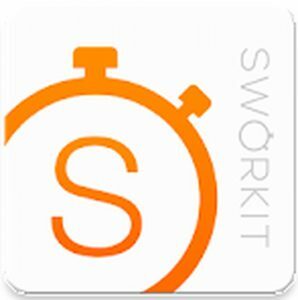 Sworkit is an entirely customizable workout app with more than a hundred workout routines, which have been used by more than 40 million people of varying fitness levels. After you have entered your data, you can select your goals and begin your workout to make the most out of your time. Although the workout dashboard introduces some yoga, strength, cardio, and stretching exercises, you can also create a personalized workout using the custom dashboard. The available workout plans are designed to help you become “Leaner,” “Stronger,” or “Fitter.” The three categories have exercises for beginner, intermediate, and advanced users. For more options, you can upgrade to Premium. Zombies, Run! may be an immersive running game, but it can be an ultimate fitness aid you can use whenever you want. After installation, a story is presented, where you play the role of the runner. Your goal is to run towards humanity’s last remaining outpost, a haven, because of a zombie epidemic. Along the way, you need to gather supplies, defend homes, and rescue survivors. 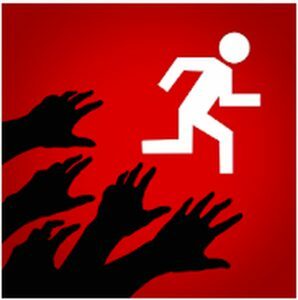 By running in your neighborhood or merely jogging on a treadmill, you can save lives and get more information about the zombie apocalypse. To maximize your game experience, you need to use your headphones. That way, you are updated where you are on your mission, and you will know if zombies chase you. Your first four missions are free. Each week, you can unlock a new mission. Furthermore, if you upgrade to Pro, you will have unlimited access to over 260 tasks. Thus, if you wish to stay fit while having an adrenaline rush, this app is for you. If you want to make a difference while you are training, Charity Miles is an app that you should download. By going out to walk your dog, bike around the neighborhood, or mowing the lawn, not only will you become fit and active. Charities will also benefit from what you are doing. Since this app was released, users have already raised over $2 million for charity. As you set up the app, you will be asked to choose from more than 40 charities you want to support. After that, you can start any activity. Each activity will have a brand sponsor. Once you complete the task, a corresponding amount will be donated by your sponsor to your chosen charity. With Charity Miles, you will be motivated and inspired to go the extra mile. For a bonus, you will be improving your health. The more activities you complete, the more money you raise for a useful purpose. Developed by Google, Google Fit is an excellent workout tracker app that uses sensors to track your activities and record them. It will monitor your pace, speed, and elevation, as well as display real-time stats of your walking, running, and riding activities. With Google Fit, you can also set various goals for your distance, calorie intake, steps, and time. The best thing about this app is that you can integrate it with Android Wear. MapMyFitness lets you map and track every workout routine you perform and receive feedback to improve your performance. It also covers more than 600 different types of activities, including walking, cross-training, walking, yoga, and cycling. The app is free to use with some in-app purchases. Since it comes with ads, you can upgrade to become a premium member and unlock other cool features. Did you know that you can stay fit and build muscles at home? Yes, that is possible with Home Workout app. It contains more than 100 videos and animation guides for various workouts designed by professionals. Most routines are focused on specific parts, such as the legs, chest, and abs. 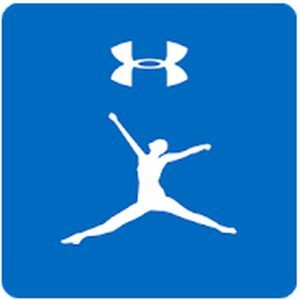 Other features of this app include progress reports, stretching routines, warm-up exercises, and workout reminders. Fitness apps play a vital role in your fitness regime. But of course, you can’t use them if your Android device is not cooperating. That is why we suggest you download and install Outbyte Android Care. This tool will help ensure your device performs best at all times by getting rid of junk files in your system.